Sometimes, a good outfit requires a glance at the past. The ‘90s influenced major movements in fashion that became iconic in menswear, and are worth another look. Many of our favorite trends are inspired by rock music of the era—grunge was kind of a big deal—as well as skater and alternative culture. It’s a simple, low-key style that can be achieved with a few versatile pieces. The shirts were oversized, the color palettes were muted, and the vibe was hella chill. Check out how we’ve given our favorite styles an update below, and start putting your own look together. What would this decade’s fashion inspiration be without a few plaid button-downs in the mix? A wardrobe essential of the era (especially for anyone at a Pearl Jam concert), the modern interpretation of these is a bit more polished. 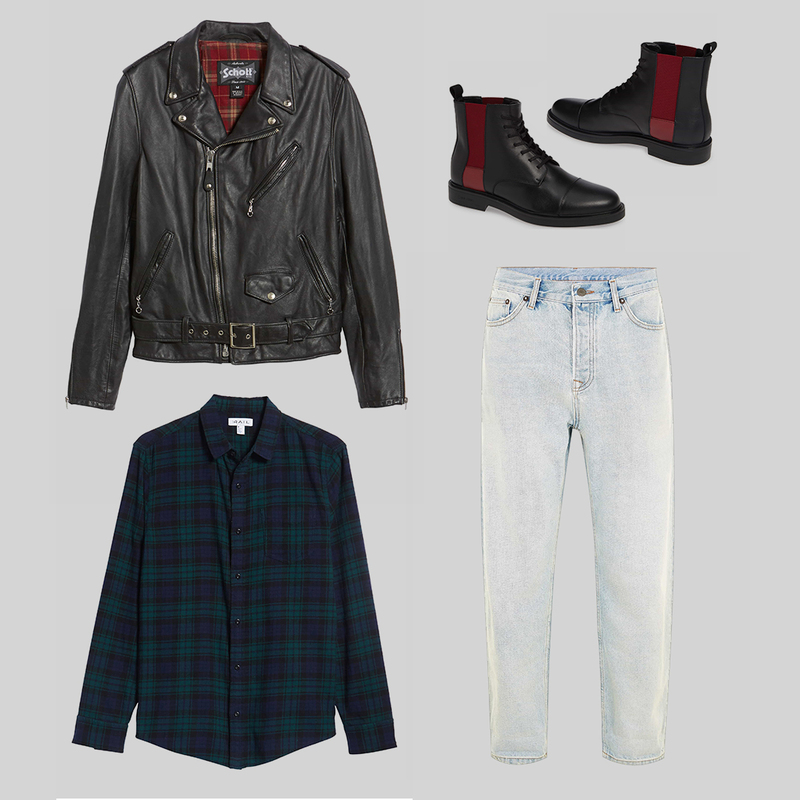 Wear them buttoned all the way up, or opt for a heavier flannel that can be worn open as more of a shacket. 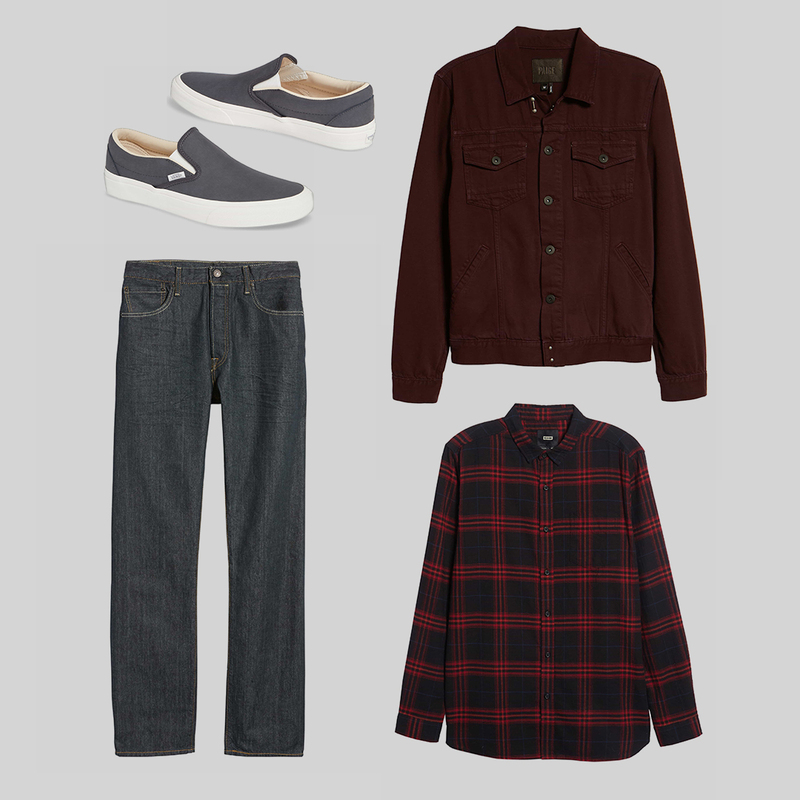 Swap out your dark-wash denim for a lighter pair as the perfect complement. Denim jackets have never gone out of style, but we haven’t seen them this prevalent since the ‘90s. 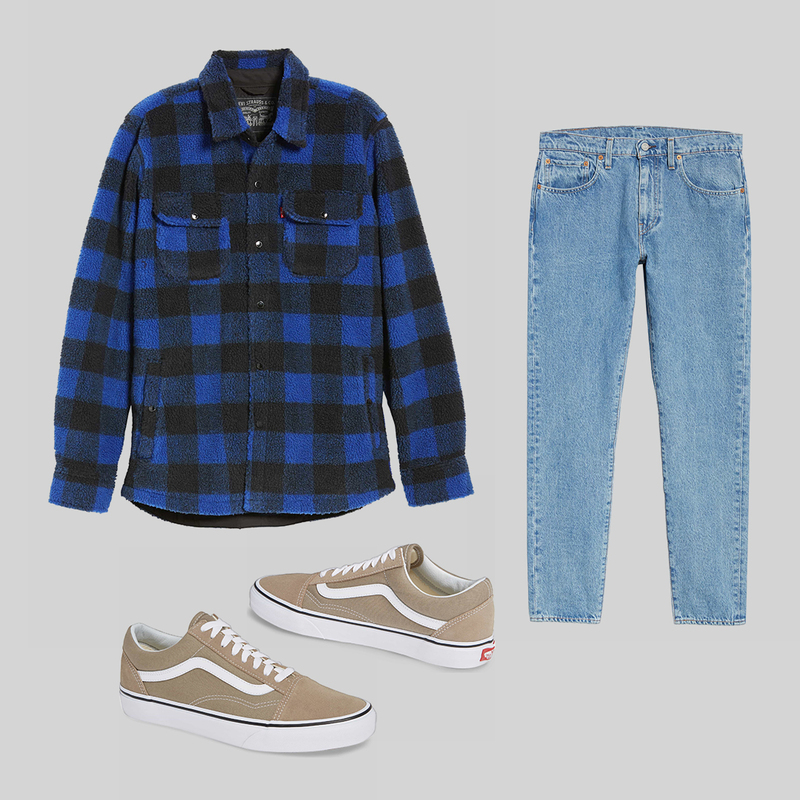 We’re bringing this look into present day with a play on the monochromatic color trend, pulling a jacket and plaid shirt in matching moody hues. 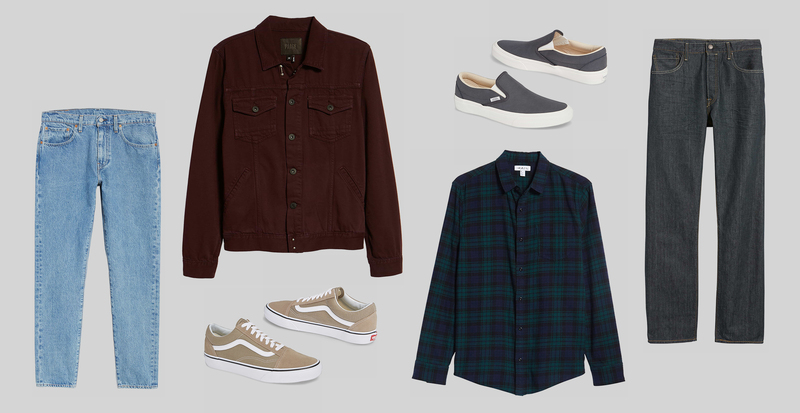 Straight-leg jeans in a faded grey wash and slip-on Vans in the same shade finish the tone-on-tone look. This decade had a laid-back rocker vibe that now lends itself to less rigid (and less formal) outerwear. A leather jacket, which pairs back nicely to a classic plaid button-down, brings both functional warmth and an indisputable cool factor to any outfit. Try this look with “dad” jeans (classified as light-wash, high-waist denim with a straight-leg fit) to channel your inner Uncle Jesse. Go ahead and cuff ‘em to show off your lace-up boots.